Lake Park is a dynamic and lively congregation with members of all ages and backgrounds. 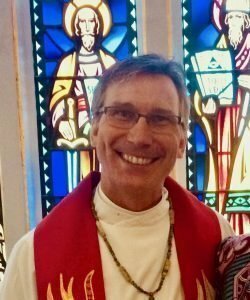 As we move into our 101st year as a congregation we continue to grown in supporting our ministries and three social justice partnerships (Eco Justice with Alice’s Garden and the Urban Ecology Center, Lutheran Campus Ministry at UWM & the exploration of an international partnership in El Salvador)! We also celebrate our continuing ministries with MICAH (Milwaukee Inner-city Congregations Allied for Hope), our status as a “Reconciling in Christ” congregation (welcoming and affirming of all people, including those in the LGBT community) and a Care for Creation Congregation, revising and expanding our youth & family programming and reinvigorating our adult conversations. We continue to revive Lake Park’s tradition of vibrant, creative Word and Sacrament worship lead by a music ministry team where Bach plays side by side with blues-slide guitar all in the same service! Strong preaching and passionate leadership from ordained and lay leadership are at the heart of all we do as community. But all of these are just programs – what matters most is a rediscovery of the love of God and the activity of God’s love in the world. Part of that rediscovery comes from welcoming creative, intelligent and questioning people like you. Lake Park is centered on the belief that God is in the world and that the world inspires us to deeper love and service. Your gifts, however strange they might be, are a part of God’s purpose in the world. Lake Park and your gifts reflect the openness, diversity, and vibrancy of our Eastside neighborhood.